What days is Koala open? Koala is open seven day a week. Koala is only on closed on Christmas Day, Boxing Day and Good Friday. The boat storage area in O’Connor is accessible all 365 days of the year. Do I require a license to use the forklift? What facilities are available for boat storage? Boat storage is only available at Koala South in O’Connor. Each bay has access power, wash down facilities and a secure storage unit for your valuable boating equipment. The boat storage area has extended opening hours (5am to 9pm) for your convenience. Do I have gate access 24 hours a day? NO - gate access is only permitted from 6 am to 5.45 pm seven days a week via your own individual keypad access code . (Excluding nominated Public Holidays) Please note that there are extended access hours for the boat storage area at Koala Self Storage O’Connor. Please see the bottom of the page for the current boat area access hours. Can I access my storage unit on WA public holidays? We are open on WA Public Holidays with the exception of Christmas Day, Boxing Day, New Year’s Day and Good Friday - there is ‘NO’ access to our grounds or our Koala Offices on these days. Normal gate access hours apply on all other WA Public Holidays and our Koala Offices are also open. Please see our website for times. 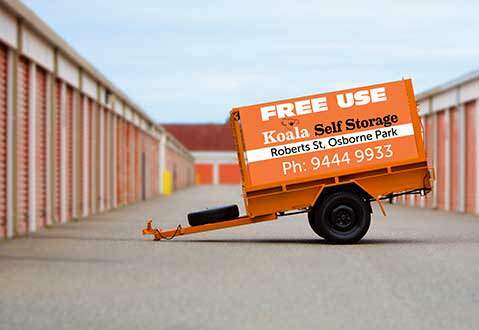 Please note that the boat storage area at Koala Self Storage O’Connor is open 365 days a year. Please see the home page for any specific updates. Are there any items I am not allowed to store? Under the Self Storage Agreement, you cannot store any goods that are hazardous, illegal, explosive, stolen or environmentally harmful. This includes petrol tins, paint thinner, FULL gas bottles or chlorine. The goods you have stored in your Self Storage space are yours and remain your sole responsibility. We advise that you have your domestic goods covered by insurance whilst they are in storage, as your goods are not covered by Koala Self Storage. We can offer you insurance for your general storage items, however we are unable to cover vehicles, motor bikes, caravans, buses or boats. If you have any queries relating to insurance, you will need to discuss it with our nominated Insurance Broker. Please ask our team for their contact details. How do I sign up for a Self Storage space? Once all the paperwork is completed and payment is made, you can move your goods into your Storage Space at Koala. Are trailers available for use? Here at Koala, we have several 5’ x 7’ caged trailers that you can utilise anytime during office hours. Our trailers need to be returned by 5.00pm on the day of hire. The use of trailers is complimentary so don’t miss out and book in advance if possible. A Trailer Hire Agreement will need to be filled out by the storer. What free services are available to Koala clients? At Koala, we have a comfy area set aside for use by all our clients – domestic and commercial. 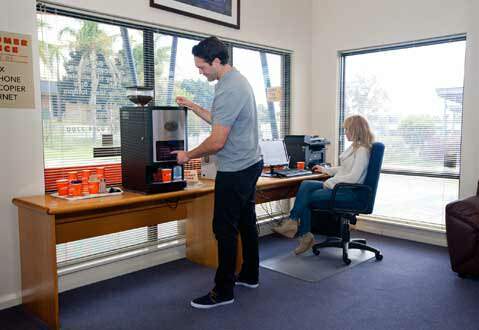 There is a great coffee machine (for that vital cappuccino or hot chocolate), a computer, printer, telephone, fax and photocopier. Our storage clients can also take advantage of our Free Wi-Fi. What type and size of storage space do I need? We have many different types and sizes of storage space available – whether it be for your car, home contents or commercial needs. To help you decide which storage space best suits your needs, we have a display area of our unit sizes. Feel free to come down and view them any time during our office hours. Being able to visualise the unit size we have on offer will really help you to choose the appropriate size unit for your needs. 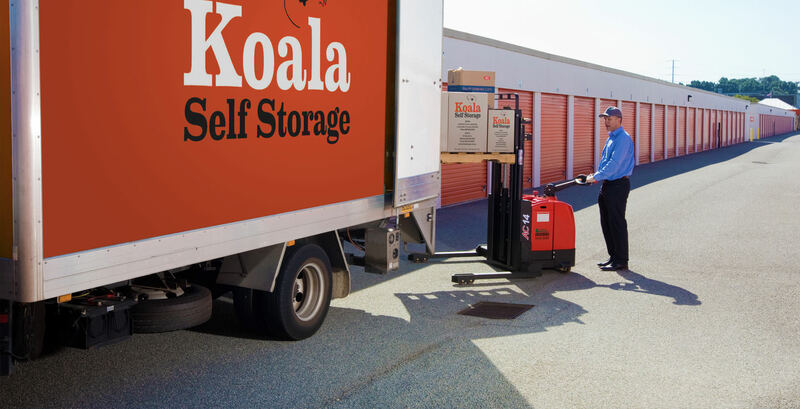 Koala Self Storage O’Connor also has areas that can store large vehicles, boats and caravans, as well as a climate controlled area. I only need storage for one month, is that possible? When signing up for storage, you are committed to a minimum of one month. 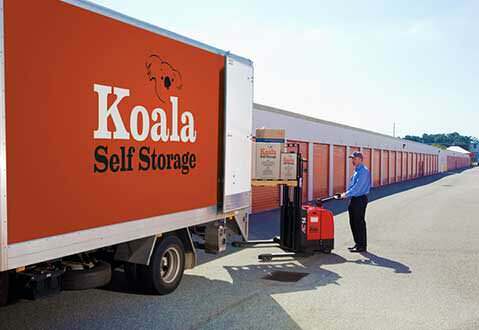 Storage is on a month to month basis, for further clarification please call your nearest Koala Self Storage Office. Both Koala sites carry a range of boxes, tape, furniture protectors and packaging supplies for sale – we are open and in the office 7 days a week, so pop in for all your storage needs. There are several ways to pay your account with Koala. What happens if my items don’t fit? We have a large range of sizes at Koala so if your first choice turns out too small, we will relocate you to a larger storage unit. We do everything within our power to ensure your goods are safe and secure here at Koala. We have 24hr digitally recorded camera surveillance, infrared security beams, razor wire and monitored screens. All clients have their own individual gate access code and they place their own padlock on their unit so they are the only one with access to it – for added peace of mind, you can also insure your domestic goods (conditions apply). Do I have to give notice when vacating? We ask that you give at least seven (7) days’ notice before you vacate. It is very important that you inform a member of our office team when you have vacated so the appropriate paperwork can be completed and you can avoid any extra charges. Yes – we have a range of flatbed and upright trolleys to help you with your moving needs. We also have pallet jacks and an electric stacker (walk behind forklift) for palletised goods and larger commercial deliveries. No – there is no power to any of the units. How can I protect my furniture in storage? We have a range of plastic furniture covers for sale in our office that can be placed over your mattress and furniture to help protect them while in storage here at Koala. The minimum period is one (1) month – so long as you keep remitting your monthly rent, you can stay as long as you like.